VA loans were first released in 1944 with the World War II GI Bill to help veterans and their families find affordable home financing. Today, though times have changed, they serve that same core purpose. The U.S. Department of Veterans Affairs (the VA) secures VA loans, and they are funded by VA-approved private lenders. They have easy qualifying and great benefits like 0% down payment. If you’re a current servicemember, veteran or surviving spouse of a veteran killed during service, contact Brian Masterson – Bay Capital Mortgage to learn more about VA loans. Brian can deliver the most competitive rates and provides the one-on-one attention you deserve in Annapolis, MD. VA loans are one of several types of nonconventional loans, which are mortgages guaranteed or insured by a government agency. Other types of nonconventional loans include FHA and USDA loans. 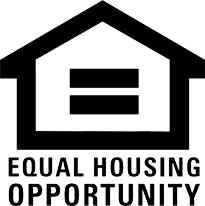 Each is designed to help a different segment of people qualify for affordable home financing. If a borrower defaults on a VA loan, the VA reimburses the lender. Because of this, VA-approved lenders have easy qualifying requirements when compared with conventional loans, which are privately insured. The Department of Veterans Affairs does not limit how much a person can borrow through a VA loan. However, the VA does set a limit on how much it will guarantee. In Anne Arundel County, the limit is $517,500. You can still purchase a home with a VA loan exceeding that value, however, you will need to supply at least 20% of the difference between the limit and the total value of your loan, because that portion of the loan is not guaranteed. To get approved, you’ll need to obtain a Certificate of Eligibility (COE). You can submit paperwork to get a COE online or through the mail. Most veterans and servicemembers who have served at least 90 days during wartime or 181 days during peacetime are eligible, as are many members of the National Guard or Reserves who have served six years or longer. In addition, certain surviving spouses of veterans who were killed during service or as a result of service-related injuries, or who were declared MIA or POW may be eligible. Employees of other certain government-affiliated organizations like NOAA may also be approved. When you’re ready to look closer at VA loans and get a quote, Brian Masterson – Bay Capital Mortgage in Annapolis is here to answer your questions. From helping you obtain a COE to closing, we’re there with you every step of the way in the mortgage process. Contact us to get started.